When the Allies entered Rome, he and his collaborators— priests, nuns, and laypeople of numerous nationalities and religious beliefs—had saved the lives of over 6,500 people. 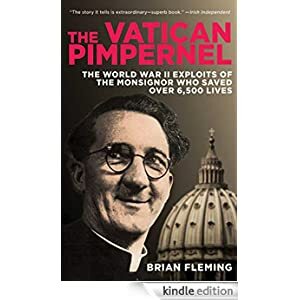 The first new telling of this extraordinary story in decades, this book also addresses the fascinating dichotomy between O’Flaherty and Herbert Kappler, the Gestapo chief in Rome who ordered him killed, and who, after the war, reconciled with the monsignor, and even asked him to perform his baptism. Buy this history today for only $1.99.